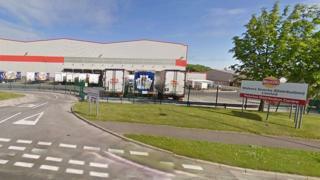 More than 350 jobs in County Durham will be axed when Walkers crisp factory closes, the owner has confirmed. PepsiCo said in March it was consulting about plans to close the Peterlee factory to help it make "productivity and efficiency savings" in the UK. A spokeswoman confirmed earlier that production would be moved to the company's other UK sites by December. She said 355 workers had been given notice earlier and all those affected would be offered support. The company is still consulting with its subsidiary firm PRDC Transport about the fate of 23 additional posts associated with the crisp factory. Tracey Foster, Peterlee manufacturing director at PepsiCo UK said: "We appreciate that this is very difficult news for everyone at the Peterlee site. "We would like to emphasise that this decision in no way reflects the performance of our colleagues at Peterlee and we remain very grateful for their hard work and commitment. "Efficiency savings are crucial for ensuring the long-term sustainable growth of our business in the UK." At the time of the consultation, the Labour MP Grahame Morris said the closure proposal was a "bitter blow" for East Durham. In a statement released earlier, the Easington Labour prospective parliamentary candidate said: "PepsiCo has confirmed it has decided to proceed with the closure of the Walkers manufacturing site at Peterlee by the end of December 2017." Some of the famous crisps made at the factory include Walkers, Lays, Sensations, Scampi Fries, Bacon Fries, Cheese Moments and Cheetos Twisted, the firm said.